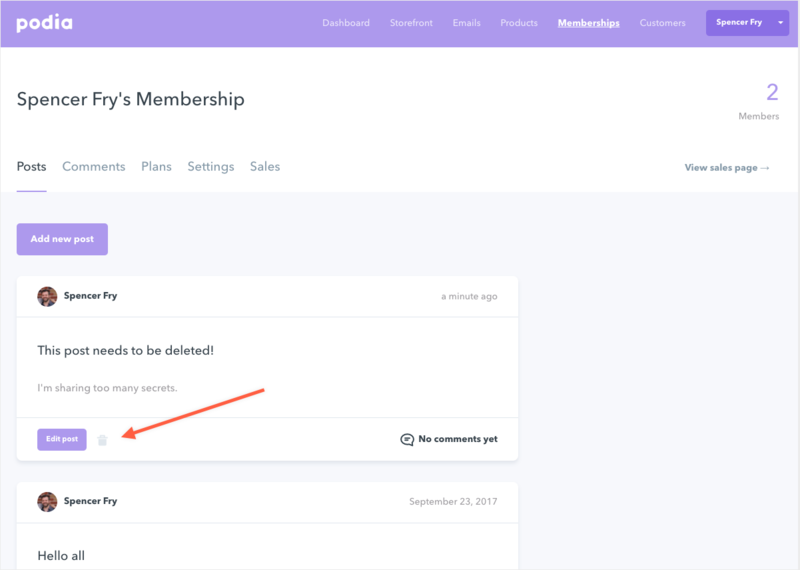 To delete a Membership post, click on Memberships at the top and then click on the trash can icon to the right of "Edit post". We'll then give you a confirmation screen to make sure you really want to delete the post. FYI: You cannot undo this and all of your comments will be deleted along with the post.